KALSI AquaBoost Pressure Booster System delivers water with uniform and constant pressure in all showers and taps both for single storied or multi-storied buildings. AquaBoost system develops pressure and maintains a uniform pressure in the pipelines for effective water utilization. The Pressure switch monitors the pressure in the system and will switch the pumpset ON and OFF automatically based on demand. The system is supplied with Horizontal Multistage Centrifugal Pumps or Shallow Well Jet Pumps. 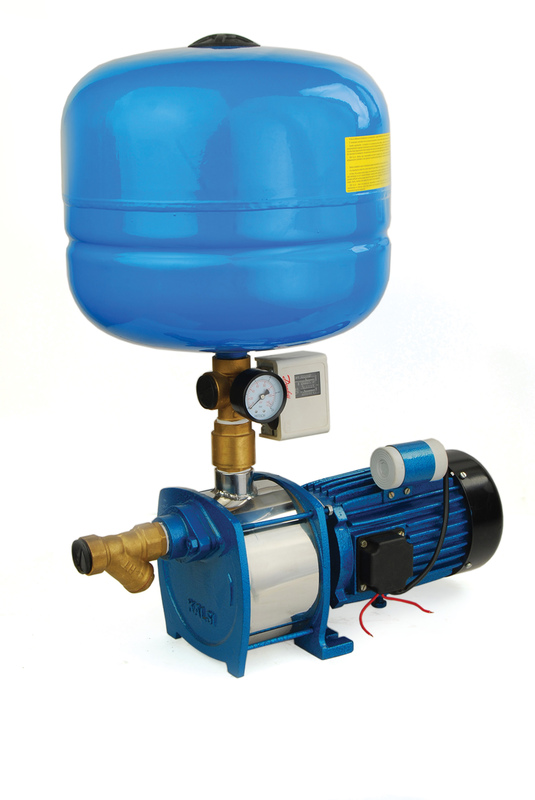 The system consists of high quality pressure tank,pressure switch and other accessories. Lawn sprinklers, Fountains and Small Farm irrigation.